The New Way to hike. exercise. socialize. discover. meditate. Are you new to town? On vacation? Looking to meet new friends? Interested in discovering new trails? 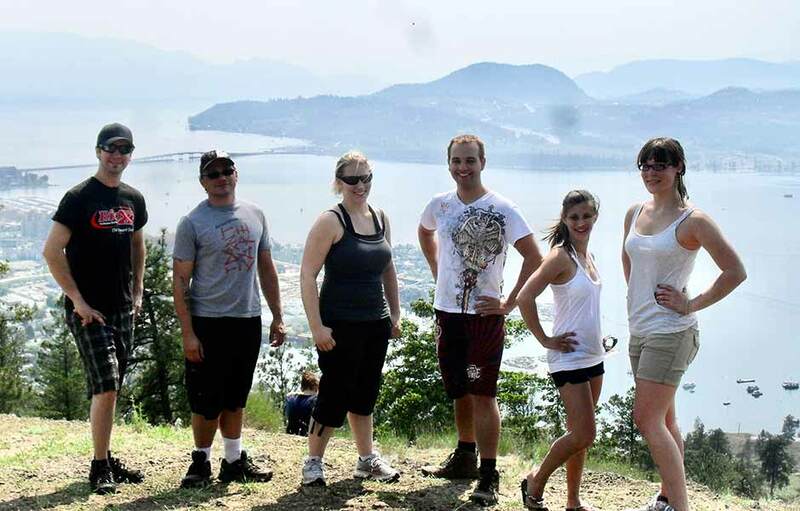 HikingAddiction is a group of hikers in the Okanagan (primarily Kelowna) that all share a passion for the outdoors. We are primarily geared towards young adults, or those young at heart, but are open to all! We are free to join, and there's absolutely no commitment! 251 new members in the last month! HikingAddiction (a division of Koingo Software, Inc.) was spawned from a serious need for an outdoor activity group specializing as a localized and centralized trail resource. 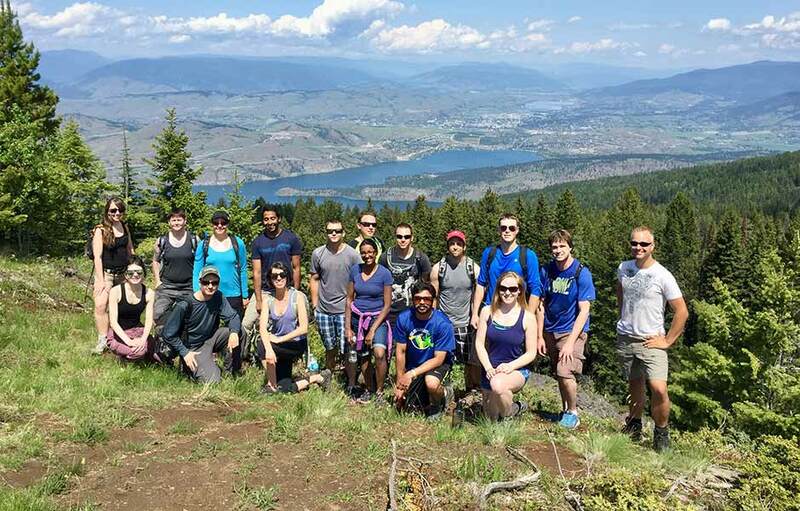 When HikingAddiction founder Josh Hoggan first moved to Kelowna and had researched his options, nothing fell into that category. He spent years scouring the internet for trails, plotting potential trails on Google Earth, and bushwhacking to the top of peaks. Over the years, the group has surpassed over 6,937 members, with between 10 and 60 individuals participating per hike. Our group is maintained solely by its userbase, and all members are welcome to host hikes, list trails, participate in our forum and contribute in any way. There is no fee for joining, and absolutely no commitment. However, if you not wish to or cannot join larger group events, we offer comprehensive GPS maps to guide you through the local trails! If you're looking for a scenic walk to take some great photos, a more challenging uphill adventure, or are just interested in exploring the outdoors, join us all throughout the sunnier months. Please read our Frequently Asked Questions page for additional information about the requirements to participate. One of our favourite multi-day excursions is Manning Park. Both the Mt. Frosty trail and Three Brother's Mountain range provide a stunning hike: through alpine meadows, past glacial pools, and along scenic ridge-lines with views of the valley. Here, we camp at Lightning Lakes which offers a full suite of canoes and warm showers! Returning the interior in 2019, Josh Hoggan scheduled a plethora of new hikes that the group had never trekked previously. Ranging from Kamloops and Revelstoke to Kelowna and Penticton. 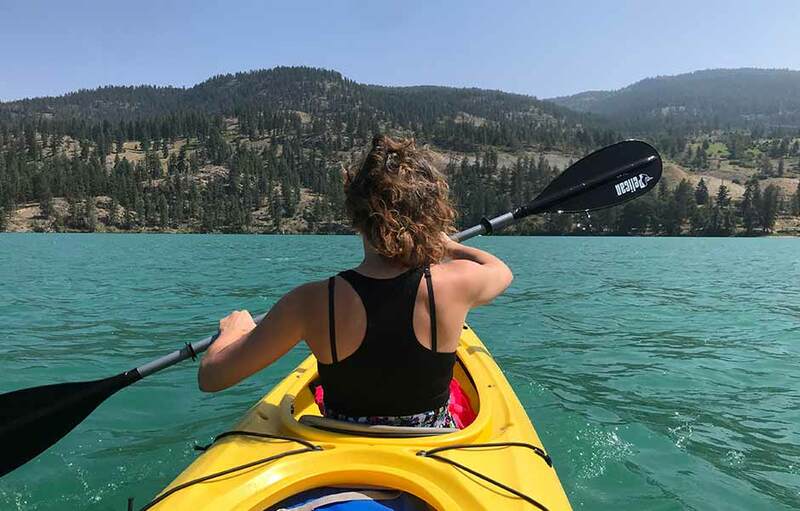 This was the first year HikingAddiction also began offering water sports rentals through their partner company, Okanagan Beach Rentals. 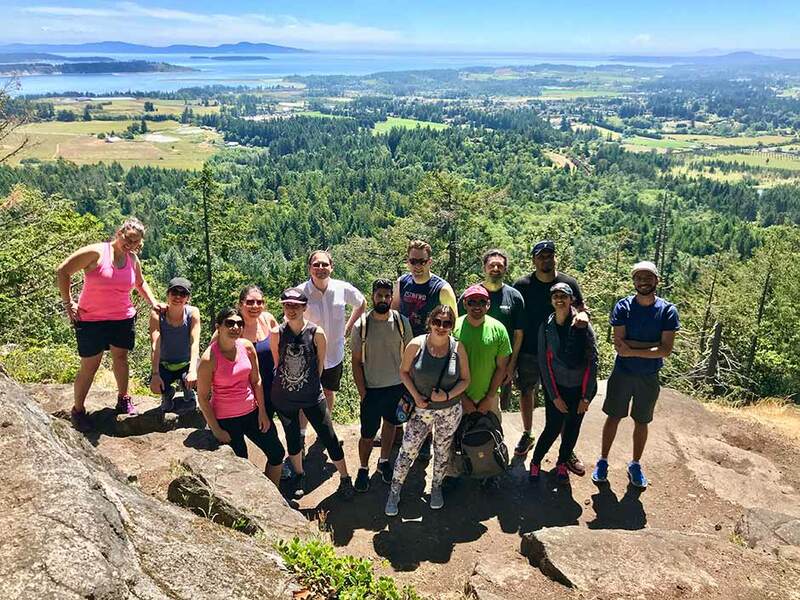 After hosting 7 events in 2018, making 262 events over 7 years, HikingAddiction.ca founder Josh Hoggan temporarily moved away from Kelowna to Victoria to launch HikeTheIsland and then the Kamloops branch. All members are can now create their own events (at no cost)! The site has also been opened up to all of the Okanagan including Kamloops and the Shuswap. The group is also now available to members of all adults 19+ without any limit. With plans to host a variety of hikes on brand new trails HikingAddiction has never done before, 2017 marked the 7th year we had been running! Originally we planned to feature a massively extended season with a total of 80 events, including backpacking trip around Okanagan Mountain Park on September long weekend. This was also the first year recurring weekly weekday evening hikes were scheduled. Founder and lead host Josh Hoggan participated on an archeological dig in Israel from May 29th to July 4th and many volunteers stepped up to host hikes in his absence. Due to the extreme wild fire danger this season, a number of closed trails, and ludicrously poor air quality, the hiking season was substantially cut back during July and August. The hikes that were hosted during this time were brand new ones we had been hoping to do with the group for years, but quite a distance from town. By the end of season, 60 hikes were hosted. 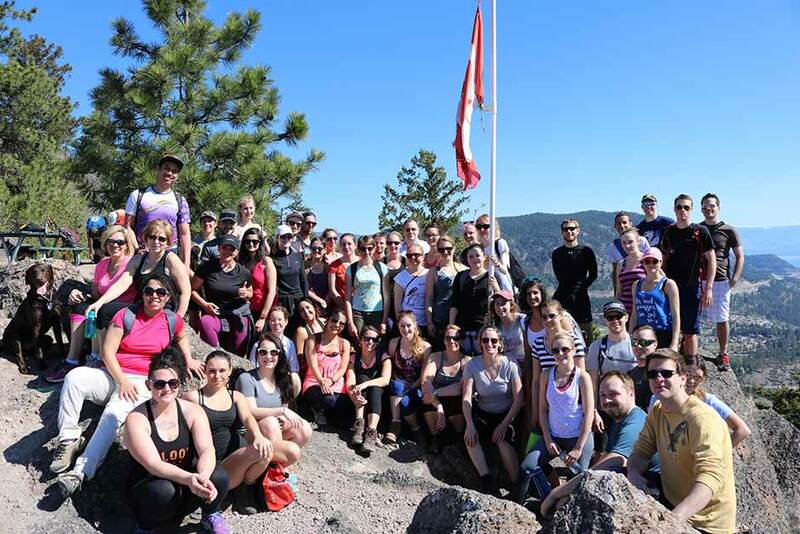 The largest turnout of the year was 67 people on the Pincushion hike. This was also the first year HikingAddiction hosted a variety of winter snow hikes! Centralizing on HikingAddiction.ca (while still spanning 4 separate FaceBook groups), a variety of awesome new site features were added in addition to a complete site redesign: from the ability to view GPS maps live on the site to an automated car-pooling system. By the end of season, 32 hikes on 29 unique trails were hosted. 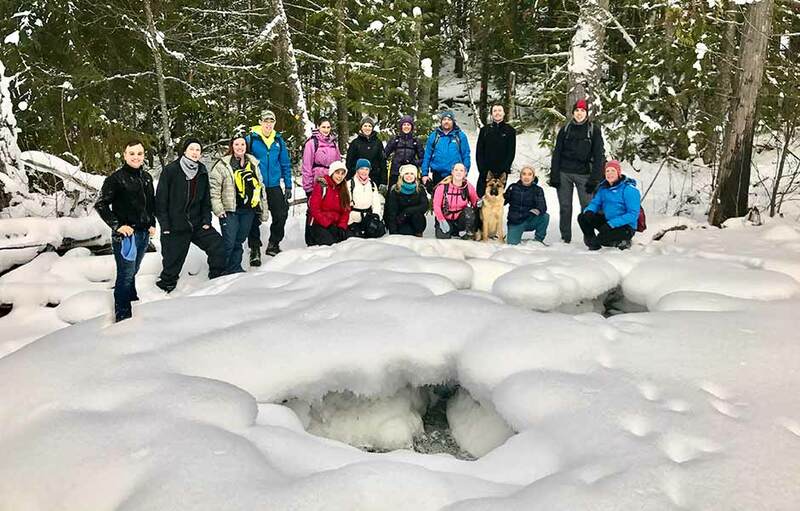 The group adventured on an overnight trip through Cathedral Lakes and mapped hundreds of more kilometres of new trails throughout the Okanagan including Zoa Peak, Glen Canyon, Terrace Mountain, and Sugarloaf Mountain. Cumulative group size reached over 5200 members! Combined with MeetUp, FaceBook, and the .ca, the group has over 4,000 members and kicked off the season with a second attendance at Mudd, Sweat, and Tears! By the end of season, 31 hikes on 31 unique trails were hosted. 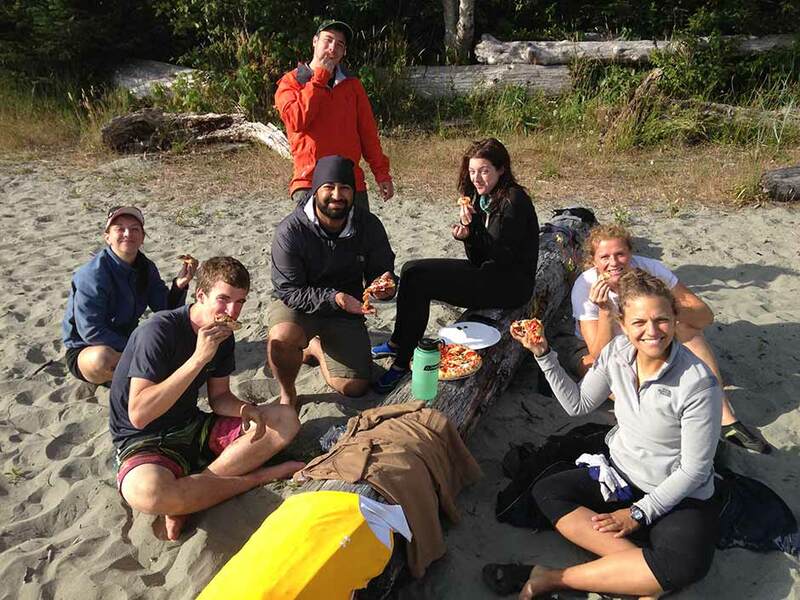 The group spent a day at WildPlay, hiked the West Coast Trail, hiked Mt. Frosty, camped at Lightning Lakes (manning park), and did a one-day intensive 48 km hike through Okanagan Mountain Park. Mid-season another Lazer Tag tournament was hosted, and it was announced that hiking season would be unofficially extended throughout November, weather permitting. The group booms to over 1,500 members. 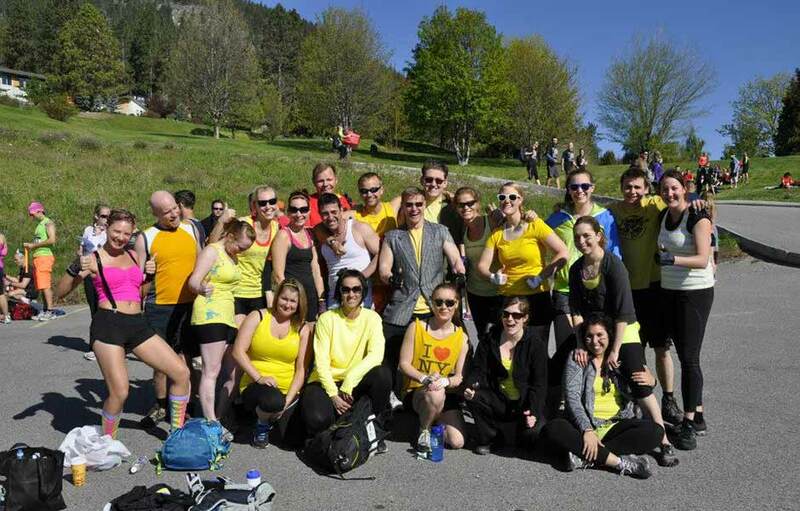 Kicking off the season with the White Rabbit Snowshoe Race and Lazer Tag, the group also participates in Mudd, Sweat and Tears, the Scotia Bank MS Walk, a camping trip at Halfway Hotsprings, and the Peachland Zipline. Mid-season an evening dinner/dance cruise is hosted. By the end of the year, 22 hikes were hosted on 20 unique trails. Koingo Software, Inc. officially sponsors HikingAddiction, providing a wash in new revenue to launch the business and begin an advertising campaign. The group booms to 800 members within weeks! 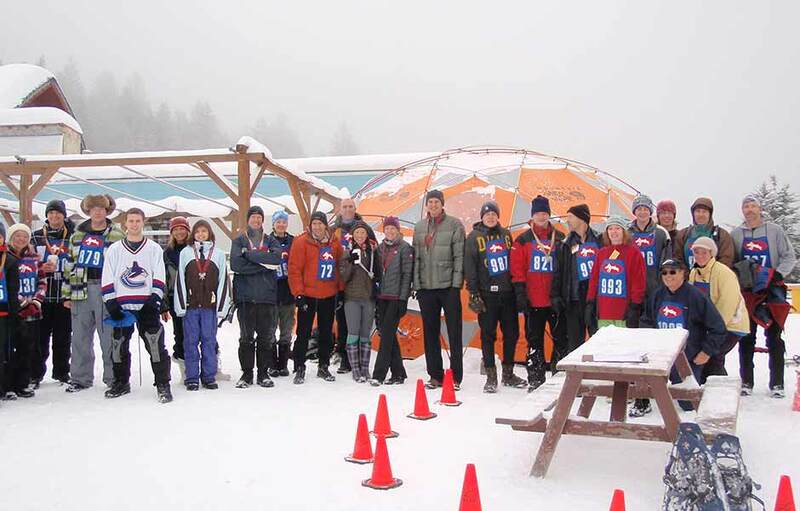 First official attendance of the group at the White Rabbit Snowshoe Race and Ski2Sea. The group hosts 30 hikes on 23 unique trails. Founder Josh Hoggan moves from Kamloops to Kelowna and is in awe with the beautiful scenery. He seeks to find a hiking group of like-minded, similar-aged, adults. Struggling to find an existing group, he starts HikingAddiction as a casual FaceBook group and invites his immediate friends. His friends, in turn, invite their friends. The group grows to almost 200 people, and a special water slides event was hosted mid-season! The group hosts 21 hikes on 16 unique trails.